Neamin Zeleke, Head of Foreign Affairs of Patriotic Ginbot 7 International Leadership and a member of Arbegnoch Ginbot 7 (AG7) Council, told ESAT that the formation of United Movement for the Salvation of Ethiopia through Democracy (ሃገር ኣድን ንቅናቄ) has elevated the struggle for freedom and democracy in Ethiopia to a higher level. Mr. Neamin travelled to Eritrea and remained there for three months before returning at the end of last week. He said Ethiopian opposition forces unequivocally have full confidence in the government of Eritrea and highly appreciative of the support it has been proving for Ethiopian liberation forces. Mr. Neamin also affirmed that the Eritrean government does not make undue interference in the internal affairs of Ethiopian forces based in Eritrea. Mr. Neamin condemned certain groups and individuals who have made a carrier out of fabricating baseless stories that would shed negative light on Ethiopian opposition based in Eritrea. He said the misinformation and blackmailing that few individuals disseminate about the government of Eritrea, Ethiopian opposition forces, and the leaders of these organizations are groundless and utterly fictitious. He called for Ethiopians from all walks of lives not be hoodwinked by these uncanny individuals with nefarious agenda that is contrary to the primacy of the struggle and its ultimate objective; the liberation of Ethiopia from the Woyane ethnocentric and brutal dictatorship. Asked about the defection of Mola Asgedom, Chairman of Tigray People’s Democratic Movement, Mr. Neamin stated that the defection of individuals like Mola, who has been hatching a hidden agenda aligned with the ruling TPLF cabal on Friday September 11, 2015, was not surprising as such. Mr. Neamin left for Eritrea three months ago with a mission to accomplish several tasks. He said, there was a need to assess and discuss the situation with the leadership on the ground. Second, he went to Eritrea to assess and facilitate the relocation of senior leaders, including Berhanu Nega, to Eritrea. In addition, he said that there was a need to reach to an agreement and understanding on a number of vital issues with members of the leadership on the ground, as well as many other tasks that could not be discussed on the media. It was reported that Professor Berhanu Nega and other senior leaders would be based in Eritrea until freedom is achieved in Ethiopia. Yet, members of the international leadership would be traveling back and forth to Eritrea and elsewhere when necessary, Mr. Neamin added. Mr. Neamin stressed the need to mobilize, focus and intensify the struggle of all Ethiopians diaspora in their endeavor to bring about democracy, freedom and justice for the people of Ethiopia under the yoke of the TPLF/EPRDF ethnocentric and dictatorial regime. Currently Ethiopian armed opposition groups are well organized and have built significant clandestine networks throughout Ethiopia to wage a full scale offensive against the TPLF forces, the senior leader told ESAT. It is to be recalled that an agreement was reached very recently among four independent opposition forces on programs and outcomes of the struggle in Ethiopia, thus forming United Movement for the Salvation of Ethiopia through Democracy. 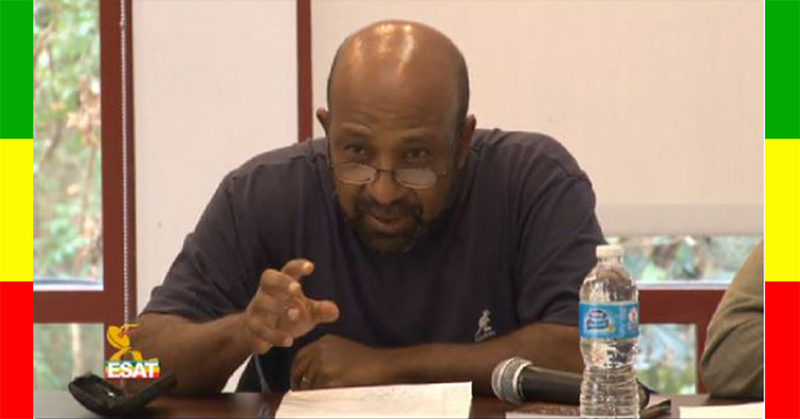 Last week, Prof. Berhanu told ESAT that Ethiopia did not need several armed factions that lack confidence in each other but claiming to have the same objectives. Hence, building a unified political movement and a liberation force under a unified command is an essential condition to salvage the country from disintegration a top priority.